The Nodena site (3MS4) near the Arkansas - Missouri border is the type site for the Nodena Phase. 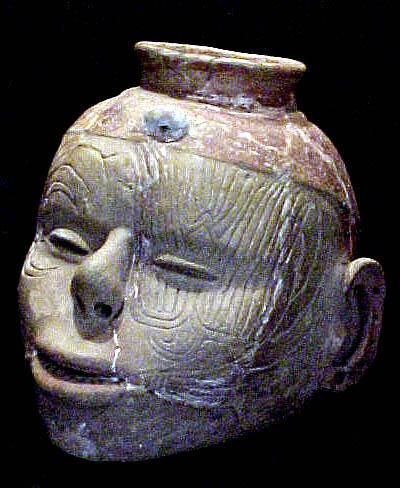 The most significant artifact from the Upper Nodena site (3MS4) is an effigy vessel shaped in the form of a human head. The pottery ware is called Carson Red on Bluff. Hathcock (1976:225) reports that the effigy is 17 cm. tall and 23 cm. in diameter. 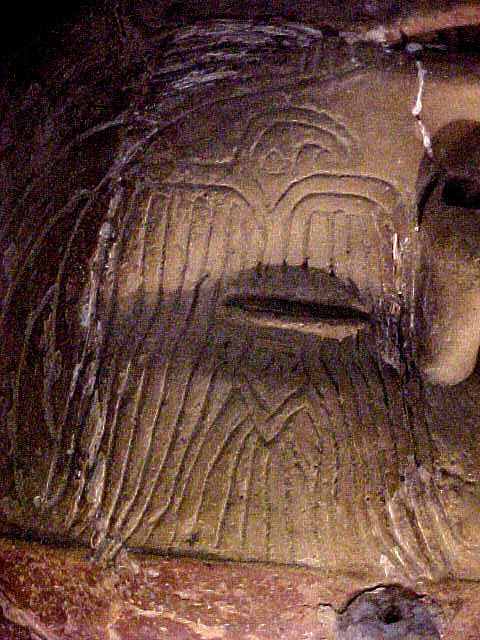 Upside down image of the hawk design around the left eye of the human head effigy vessel. 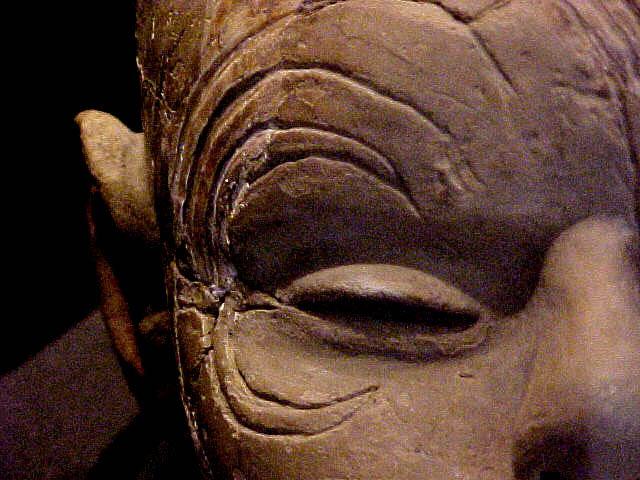 Design at the edge of the right eye of the human head effigy vessel. Geographic distribution of the Nodena Culture. 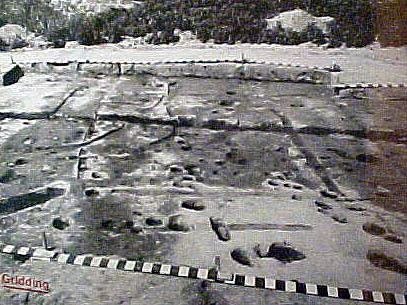 Digitized black and white image of the stain patterns at the Nodena site indicating that they constructed wall trench style houses. The only published radiocarbon date from the Upper Nodena site is an uncalibrated date of AD 1320 +/- 250. The site is discussed in detail in "Nodena", edited by Dan F. Morse and published by the Arkansas Archeological Survey Research Series no. 4. The Nodena phase is also discussed in Archaeology of the Central Mississppi Valley by Dan F. Morse and Phyllis A. Morse and published by Academic Press, 1983. They note that cultigens from the site include both corn and beans. Wild plant foods included hickory nut, persimmon, black walnut, pecan, wild cherry, hazelnut, and pawpaw. 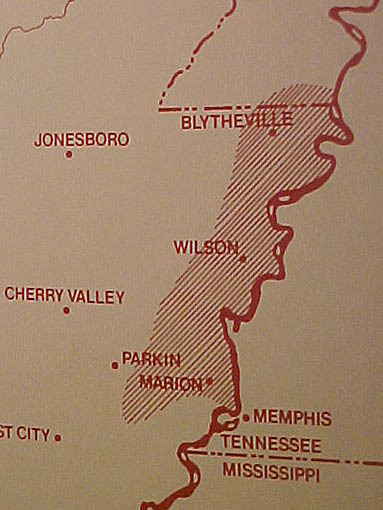 Examples of Nodena Phase pottery are included in Ancient Indian Pottery of the Mississippi River Valley by Roy Hathcock, published by Hurley Press in Cambden, Arkansas.